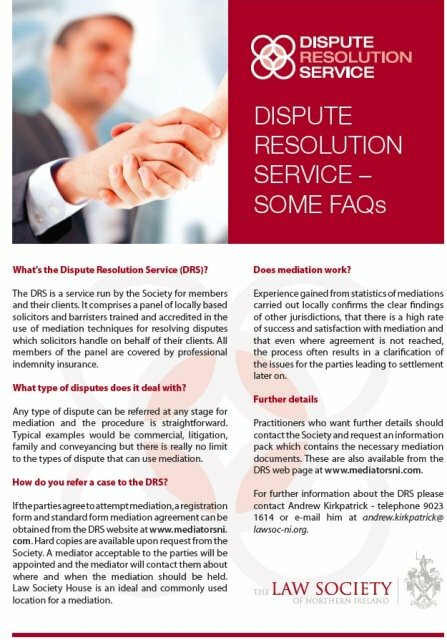 The Dispute Resolution Service (DRS) provides advice and information about mediation. It is a non profit making service which can assist those with a dispute in the selection and appointment of a mediator. It is administered by the Law Society of Northern Ireland. To begin your search click on www.mediatorsni.com and search the profiles by name, location or area of interest in the search bar facility.